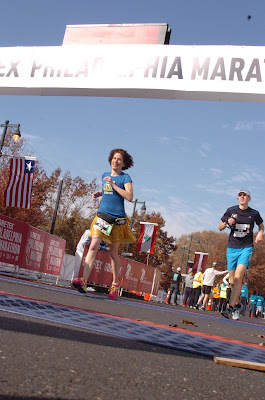 In the meantime, I've added links to over 40 recaps from runners, spectators and volunteers on my 20th Anniversary Philadelphia Marathon post. I enjoy reading and sharing stories. If you have a recap, please share your link in the comments and I'll add your post to the list. So, I purchased the digital photo package which was pricey but at least I had 20 photos. 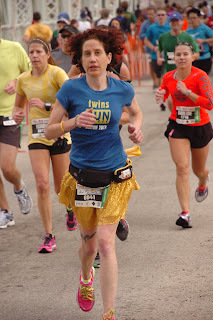 Of course, most race photos are taken from the most unflattering angles so I have the dreaded "race face" in most of them except for these three. 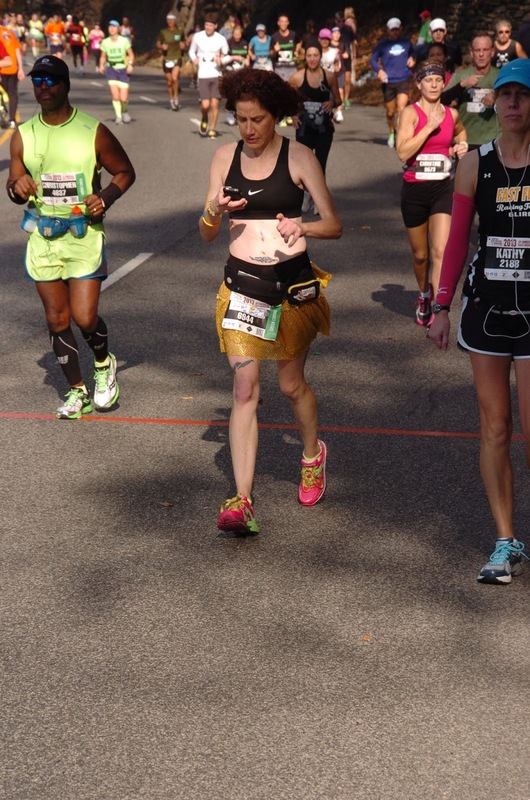 Do you purchase race photos? If so, do you purchase digital files or prints? Would you purchase race photos more often if digital files and/or prints were less expensive? Do you post watermarked proofs on your blog, Instagram, Twitter or Facebook? Comments are encouraged and will be posted after approval. We're on Facebook and Twitter if you want to connect! 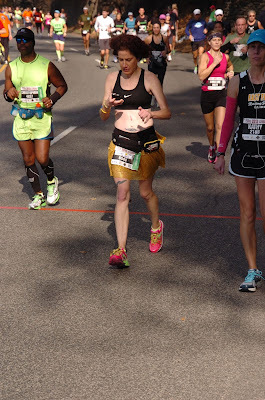 Race photos ... hmm. I wonder if it's a vicious circle -- people would buy them more if they were cheaper, but since only a few people buy them the photographers have to charge $$ to make it worthwhile? I don't think it's right to post Proofs, and it's probably a copyright violation (but I don't know for sure). People say, "But it's a picture of me," but they wouldn't have that picture if the race photographers didn't invest in their equipment, get up early for the race, have people on the course, etc.